100 years ago, Canada and the U.S. signed onto the historic Migratory Bird Treaty, which allowed numerous bird species to rebound from near extinction due to overhunting and trade. 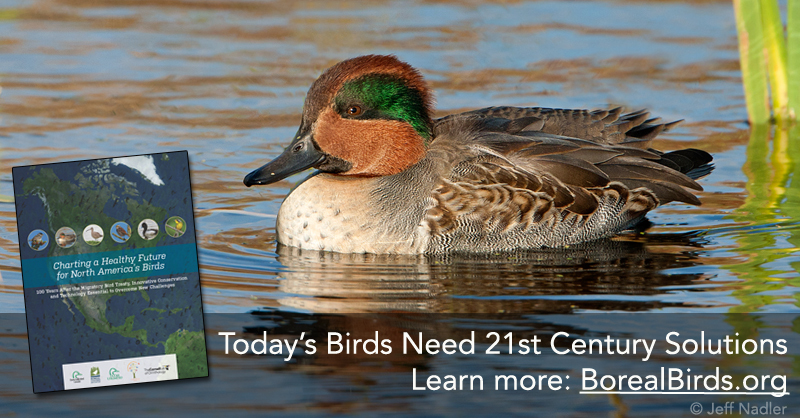 Today, however, many birds are once again in decline from a combination of habitat loss and climate change. 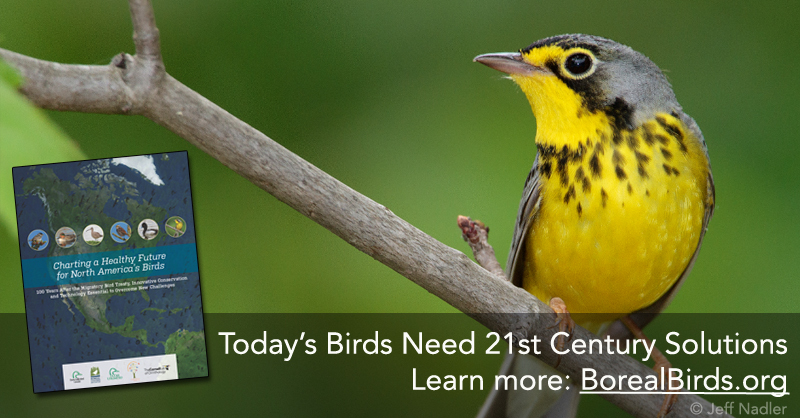 We need another bird conservation breakthrough. 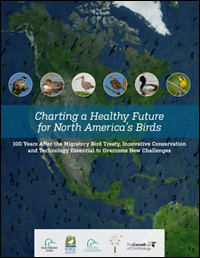 In June, Prime Minister Justin Trudeau, President Barack Obama, and President Enrique Peña Nieto renewed their nations’ commitment to protecting migratory bird habitat and called for developing a vision for the next 100 years of bird conservation. Several co-authors are available to speak to interested media about the report. Please contact one of the communications staff below to arrange a time to speak with one of them. Jump to example Tweets, example Facebook posts, or ready-made sharing graphics. 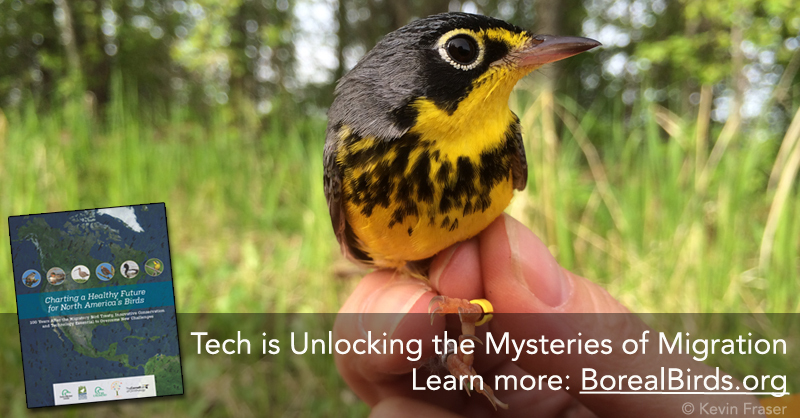 New research technology is rewriting the story of bird migration. Birds are flying faster, farther, and along more varied routes than previously thought. 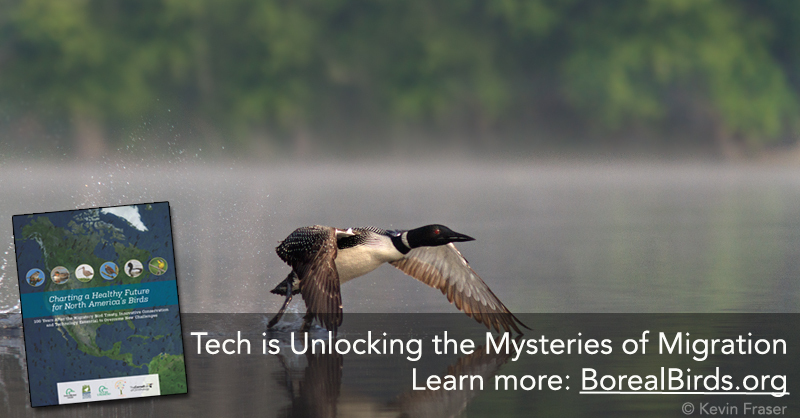 These technologies are also confirming the need to protect North America’s Boreal Forest, where many of our most captivating migration stories begin and end!